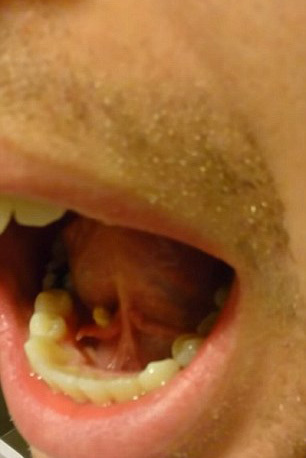 Get your gag reflex at the ready – this is the grim moment a guy pushes a salivary stone out from under his tongue. The lucky guy is Brandon Douglas – an American stationed with the Navy in Bahrain, reports the Daily Mail. According to Brandon the whole thing started when he felt some swelling on his sublingual gland – right under his tongue. It had some pus/mucus stuff coming out so i had it looked at. The dentist said it was probably a stone developing. But what happened about four days later is probably not what Brandon was expecting at all. 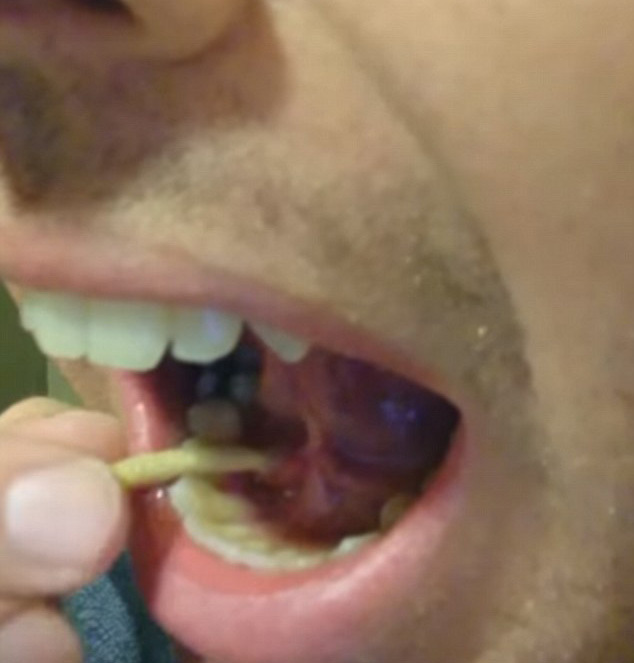 He said he felt something pushing its way out of his mouth and grabbed his phone before running to the bathroom to film what was about to happen. The clip starts with Brandon holding up his tongue his tongue with a white object sticking out just beneath. Then, things get dark as a long white stone begins to emerge, creeping out for a full ten seconds until it drops out. I felt it for five days total from start til today when it came out. The pain is very unpleasant leading up to it actually leaving the gland. I guess it’s from not staying hydrated and some other factors. I stay pretty hydrated so I’m hoping it was a fluke. So the moral of the story – stay hydrated, for God’s sake, stay hydrated.